There we were, being led into the classic tourist trap: an elephant ride. We had successfully avoided it last year in Jaipur, India and each one of us was very clear that we did not want to be party to ill-treating of this gentle giant. We told Mr. Bay (Bah-ee), our driver and guide, that we would ride only if we got good vibes. My thoughts were: Why? Why ride at all? But there was no clear answer. We ride horses and camels, attach bulls and cows to carts; so how was riding an elephant any different? I'm not sure. It just didn't feel right. 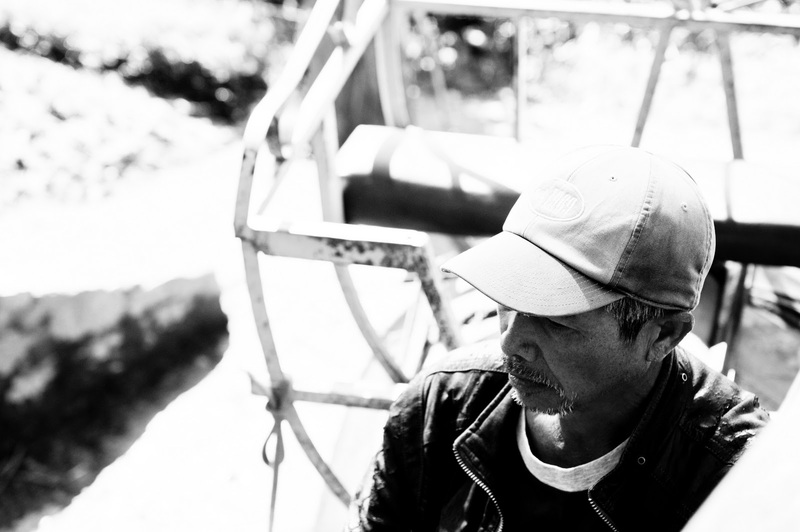 We drove along Tuyen Lam Lake in the Central Highlands of Vietnam to a nature sanctuary and then walked about a quarter mile into the sanctuary to an idyllic spot by the lake. Huts with thatched roofs, a large wooden deck on the lake, and an elephant. It was not chained, the first good vibe. 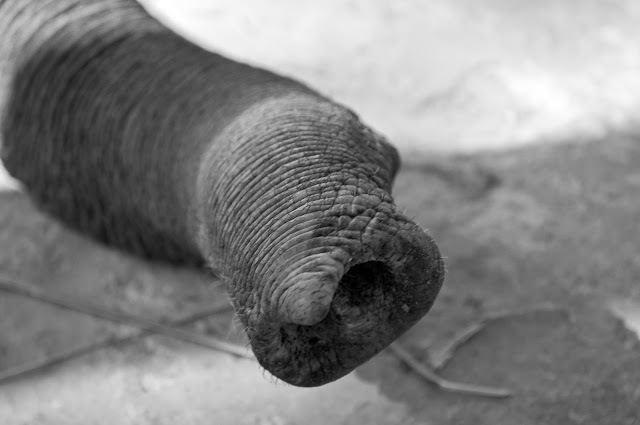 We spent a lot of time with the elephant, feeding it, talking to it, marveling at it. I think we deluded ourselves that we were getting to know it. My question, however, remained. Medha was the first to give the go-ahead just as she had been the first to raise the red flag in Jaipur. This child has great instincts when it comes to animals—something I lack—so I gave in. 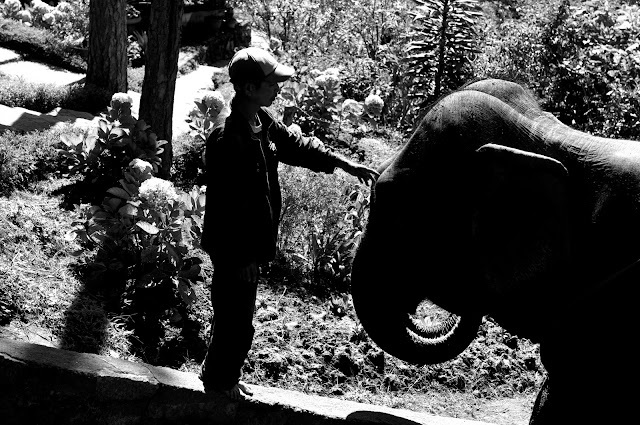 Mr. Bay rushed to get the mahout; if he could have skipped and done a cartwheel along the way, he probably would have. What I saw next touched me immensely. 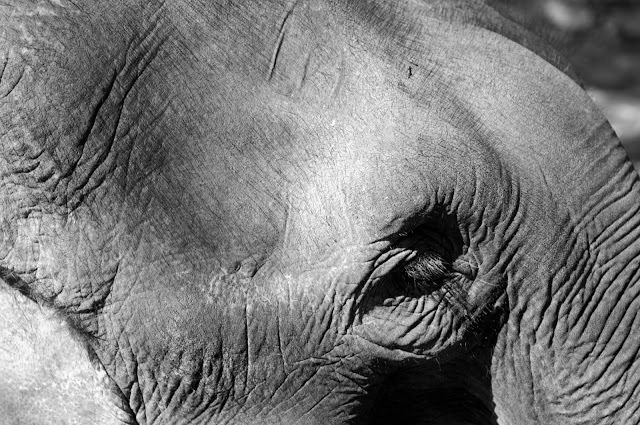 The mahout had great respect for this elephant. He had a silent conversation with it for a good five minutes before he climbed onto its back. The elephant was ready. Me? Not so much! The elephant wanted to keep stopping to drop thunderous amounts of poop. It seemed to have eaten too much too quickly because it also wanted to stop to pass gas. Not the best feeling in the world to be sitting atop a farting elephant. But did it learn anything? No. It insisted on stopping to eat after every three to four leisurely steps. It would wrap the end of its long trunk around some luscious green foliage, pull it out of the soil, hit it on the ground to loosen it of dirt and insects and only then stuff its face with it. Not once did the mahout poke, prod or hit the elephant with a sharp hook. He communicated mostly through grunts and nudges. It was a good thing that we refused to take a boat ride on Tuyen Lam Lake that included a trip to an island for elephant rides, and were instead brought to this idyllic spot by the lake. The boat ride was vetoed when we saw the noxious exhaust they exuded, most likely dirty fuel fumes. I'm not sure how those elephants were treated but I'm sure they are taken out for rides a great deal more than the quiet elephant we rode. Once our half hour ride was done, the mahout made sure the elephant was taken care of and quietly disappeared into the forest, thick with pine trees. I did ride an elephant but, really, I would rather have walked. 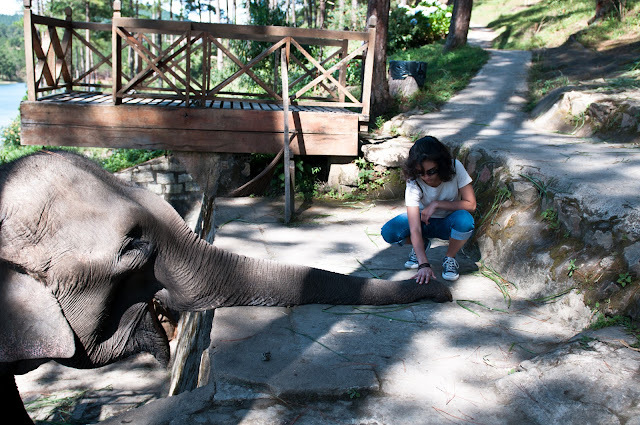 Oh, and it reminds me of my visit at the elephant orphanage in Sri Lanka, where I got to ride one too. It isn't very comfortable, to say the least. "Not the best feeling in the world to be sitting atop a farting elephant." Awesome! Great photos, and I'm glad it was a (mostly) positive experience. That is very sweet. I am not very keen on riding any animal. I mean what is the point unless it is the only means of transportation. Gabi, thank you! And, no, it isn't comfortable at all but the view is better because of the height. Kitt, mostly positive but not something I would seek out again! Pel, it wasn't quite transportation as I could have walked around that loop twice in the half hour it took us on the elephant. It's more an exotic thing to do, unfortunately. Luckily, this elephant was treated well. BM, riding an animal is a way of being one with the animal, as many horse riders will tell you. Like you, I don't find it enjoyable but Medha does. There is a seat that is placed on top of the elephant's back that can seat three. We were sitting on that until the mahout motioned Medha to sit down at our feet, behind him, to get a closer experience with the elephant. She loved that.